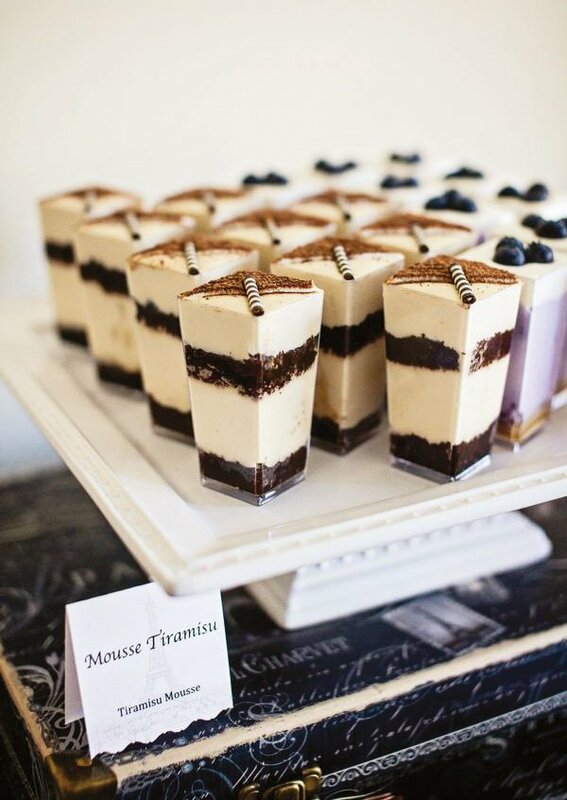 – Beautiful teal dessert buffet with tiramisu mousse, macarons, and mini eclairs & cheesecakes! 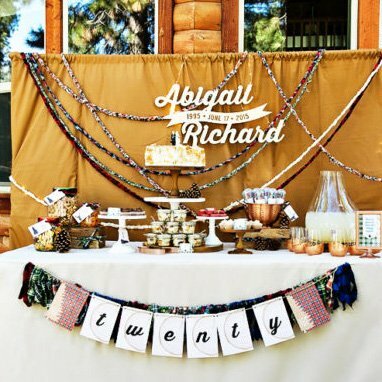 Prisca and I had the honor of designing and styling this gorgeous housewarming party for our dear friends Amilia and Ben. 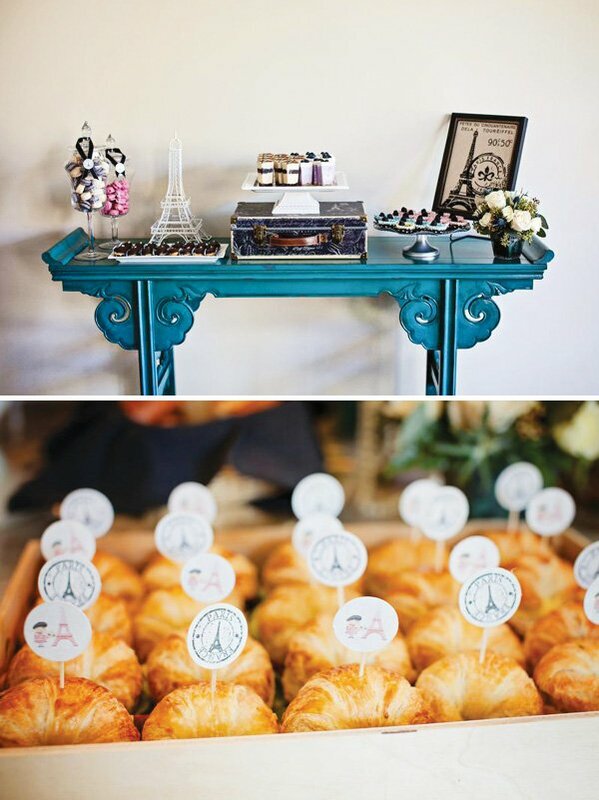 Amilia loves Paris so she wanted this chic fete to be Paris-inspired. 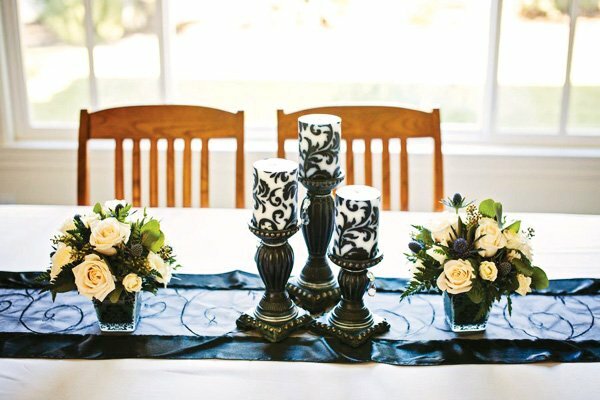 We wanted the overall look to be elegant and sophisticated with black and white and a touch of beige as the color palette. 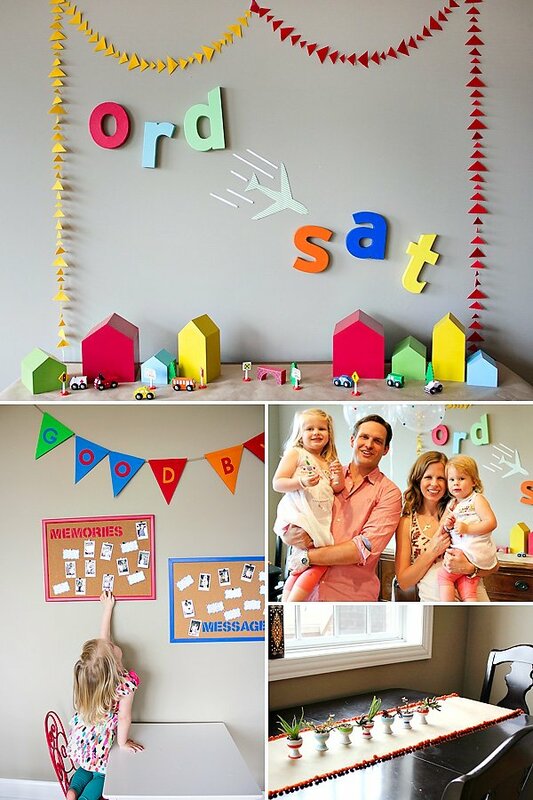 There couldn’t have been any other perfect way to celebrate their new beautiful home! 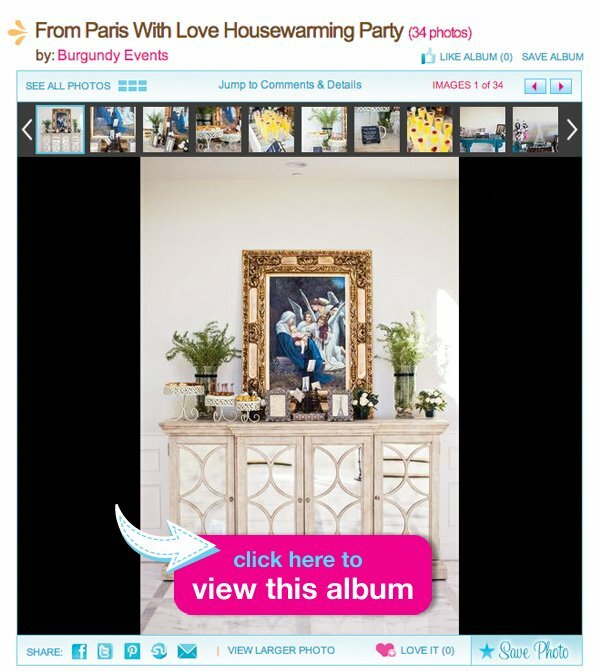 Our theme is “From Paris With Love” Housewarming Party. We decided to hand write the food, drinks, and desserts names (in FRENCH!) 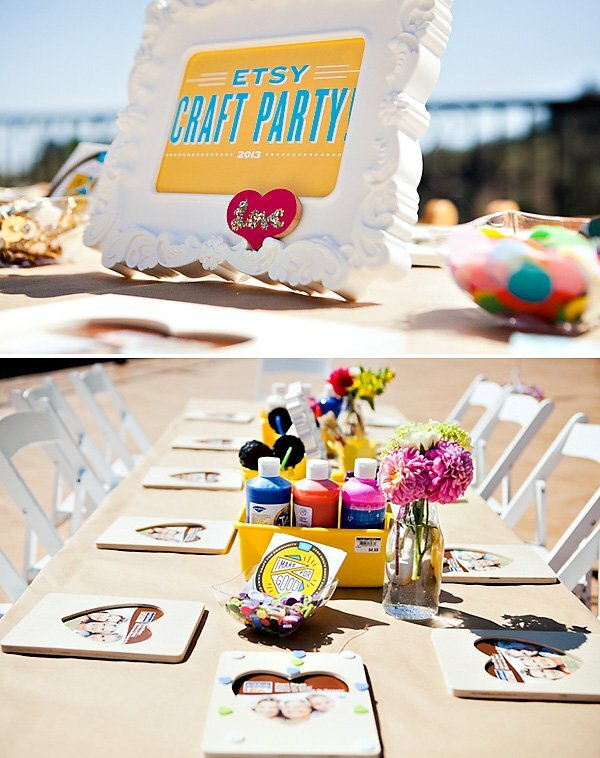 on mini chalk-board coasters, displayed on black wire mini easels. 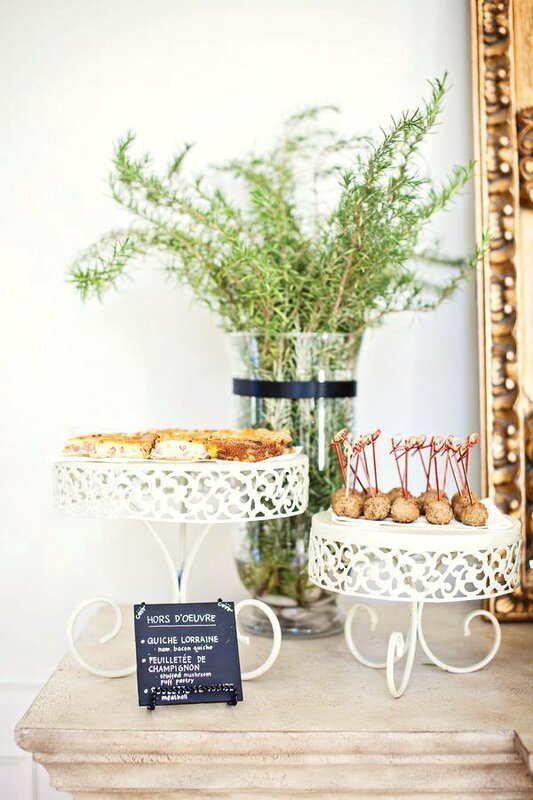 Flower arrangements and French-inspired items were spread out around the house. 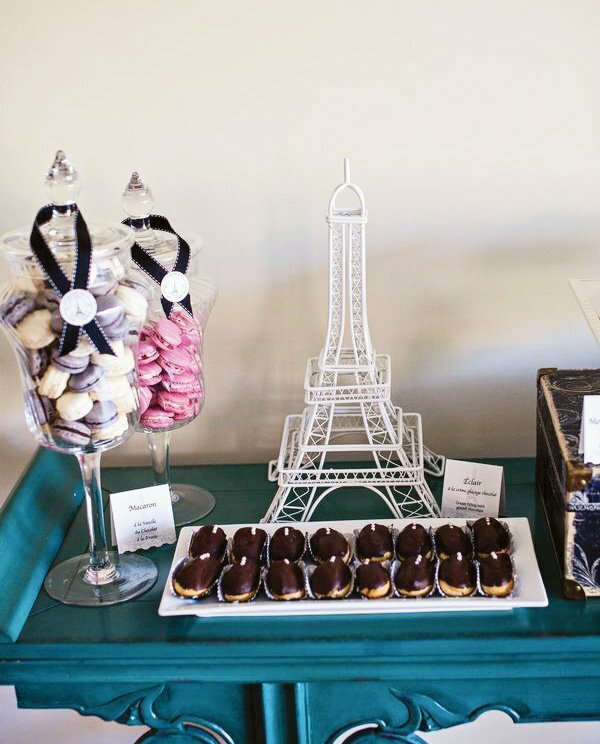 The setting for the amazingly beautiful foyer console table accented with mirrors includes a miniature black Eiffel tower, pictures of the tower displayed in rustic frames, two arrangements of rosemaries in glass vases, and roses in black and white vases. A beautiful painting of the Blessed Virgin holding baby Jesus surrounded by angels added nothing but a perfect backdrop. 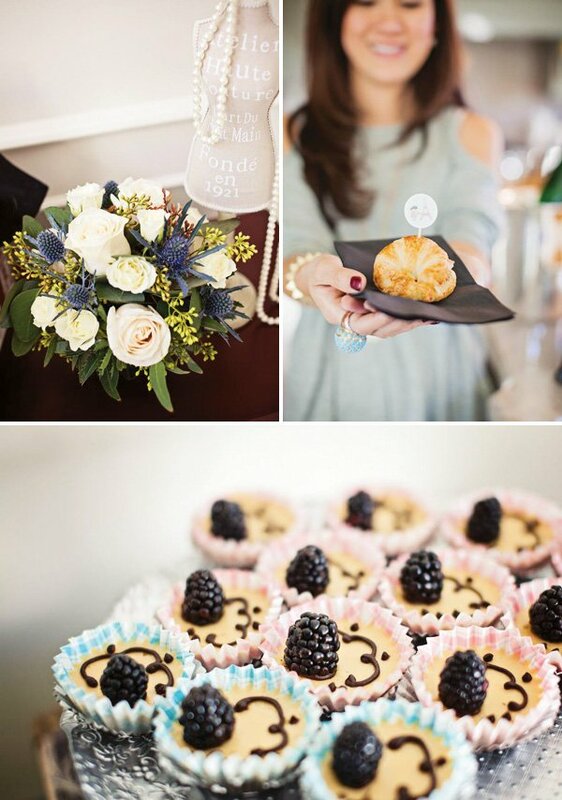 Guests were welcomed with mimosa, mini meatballs, and quiche. 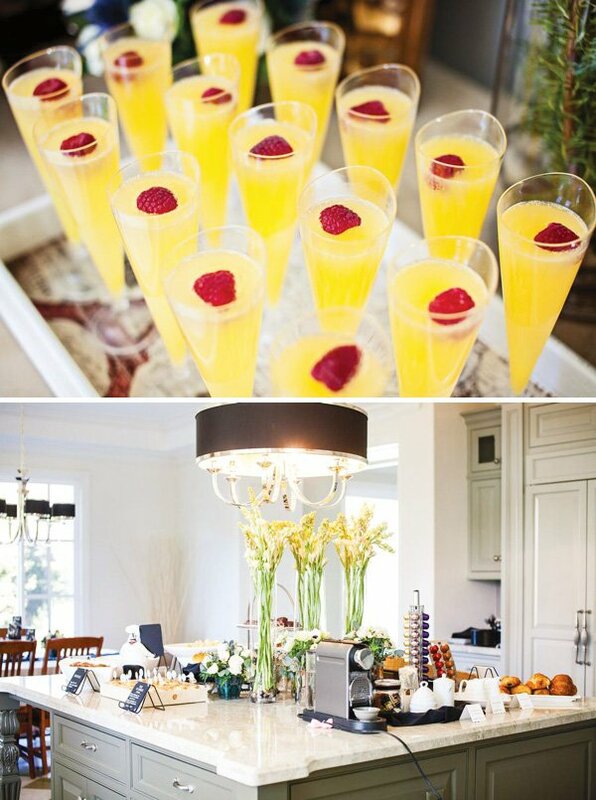 The mimosa was surely a favorite! 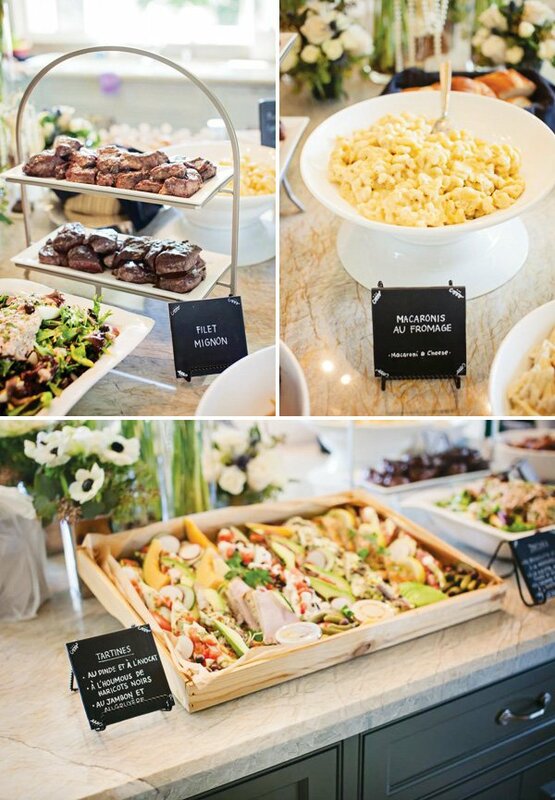 What an amazing spread we had here! 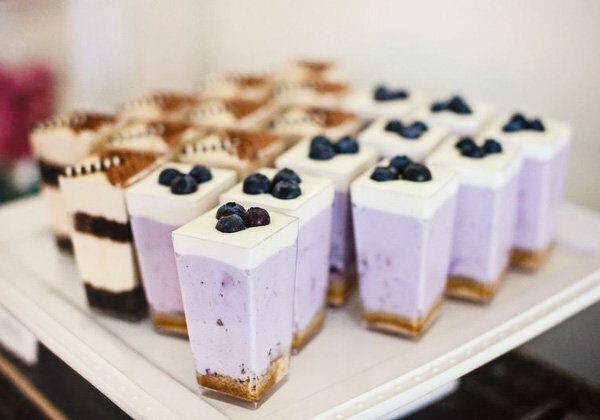 Not only there were tons of delicious food that includes filet mignon, ratatouille, mini croissants, tartines, and many more, but also there were tall and low centerpieces sitting elegantly on the kitchen island. One of our favorite pieces in the house is this teal (Asian-inspired) antique-looking console. 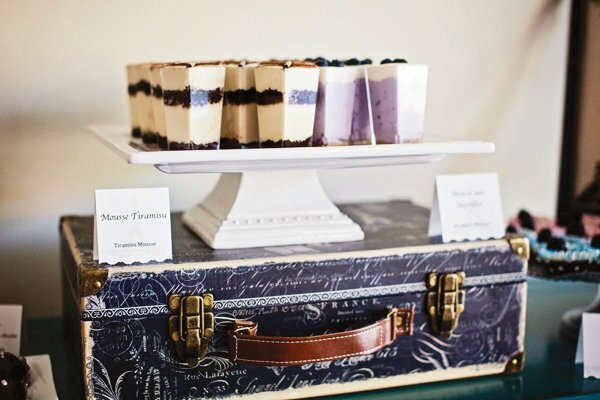 We decided to use it as the dessert table that presented an array of macarons, eclairs, mini cheesecake, and blueberry and tiramisu mousse. 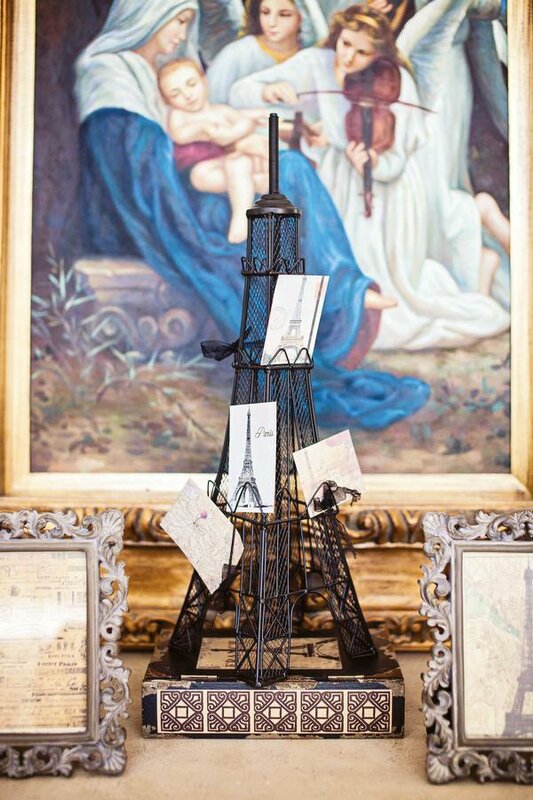 Details like the black French-themed luggage, white Eiffel tower, and a painting of the tower added flair. It was perfection! 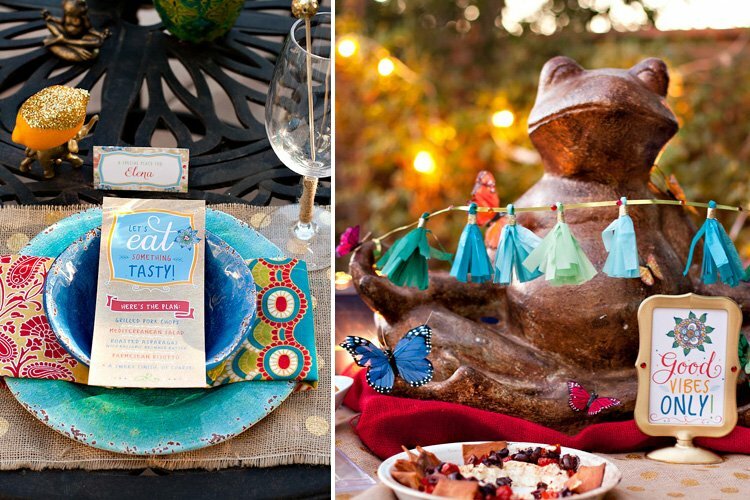 This Paris-inspired celebration wouldn’t be complete without wine and cheese! A spread of French cheeses was presented on a wooden board. 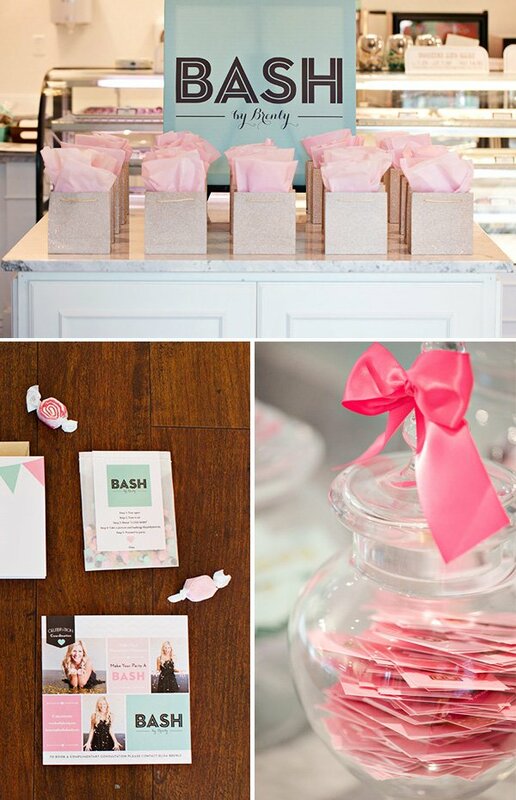 The wine glasses were adorned with adorable charms. 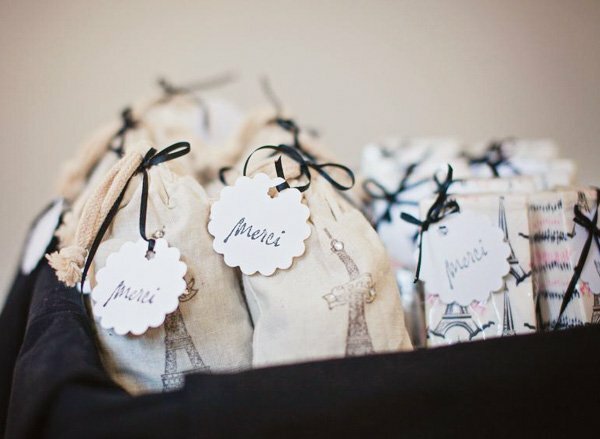 Guests took home sachets of lavender and Eiffel Tower-themed tissue packs as a thank you token.